This is the Redcat Racing Rampage XB-E 1/5th Scale 4WD Electric Buggy, with an included 2.4GHz Radio System, two 3S 11.V LiPo Batteries and charger. 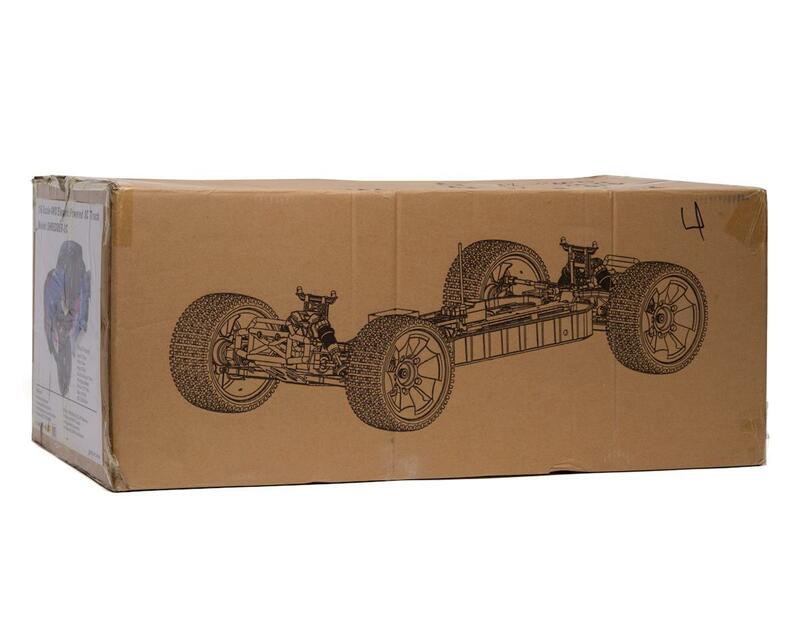 This large scale, electric brushless powered, 4WD buggy has the size, power, and handling for extreme fun. Powerful 150A electronic speed controller, 980Kv brushless motor, and dual 11.1V LiPo battery packs provide loads of torque and serious horsepower. The Rampage XB-E is equipped with metal gears and heavy duty 4mm T6 aluminum chassis for long lasting durability. Aluminum bodied oil filled shocks, and aggressive off road knobby tires provide the Rampage XB-E with the necessary DNA for high performance off-road action. 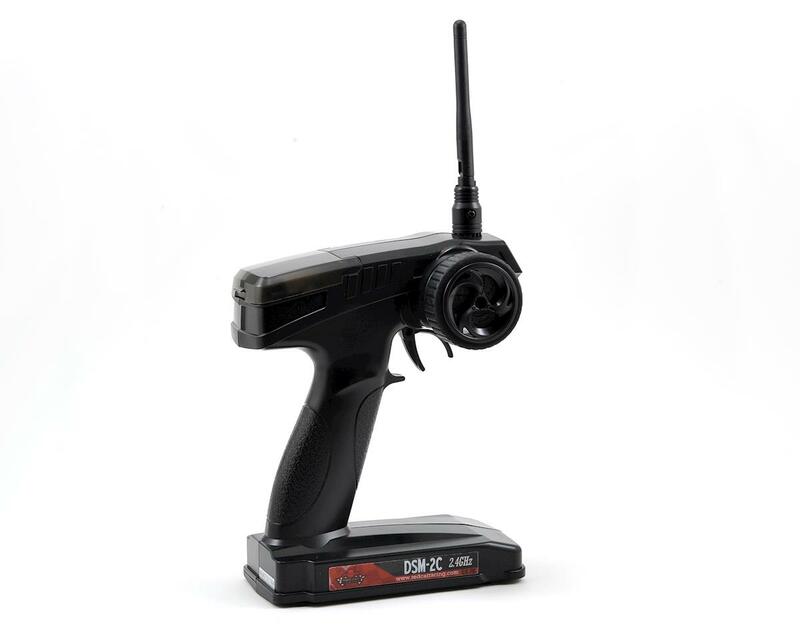 2.4GHz radio and waterproof electronics ensure reliable control. 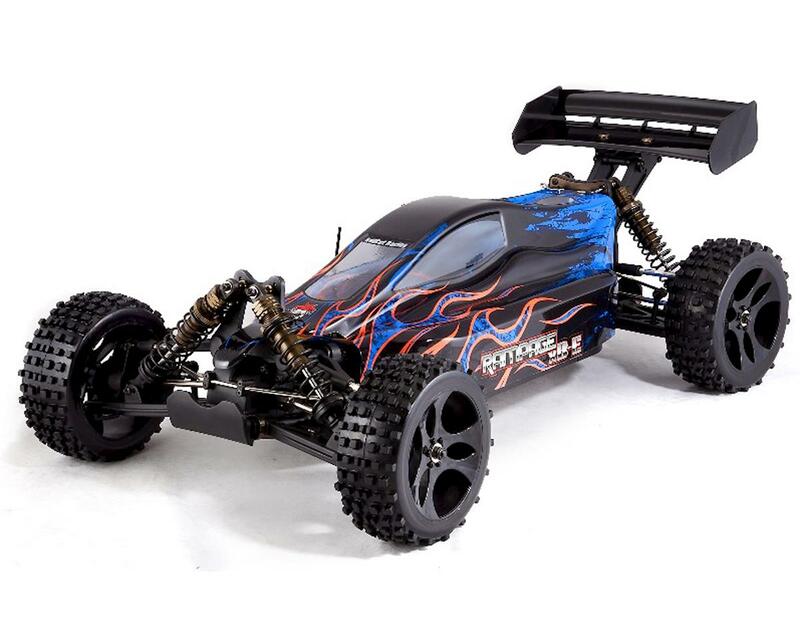 Experience the size and power of large scale R/C with the Redcat Rampage XB Buggy! With a 6S powered large scale brushless power system, 4 wheel drive drivetrain, steel gears and more, this electric powered buggy is sure to get your adrenaline going fast! Solid construction. ESC and motor combo is smooth, didn't notice any stuttering, etc. 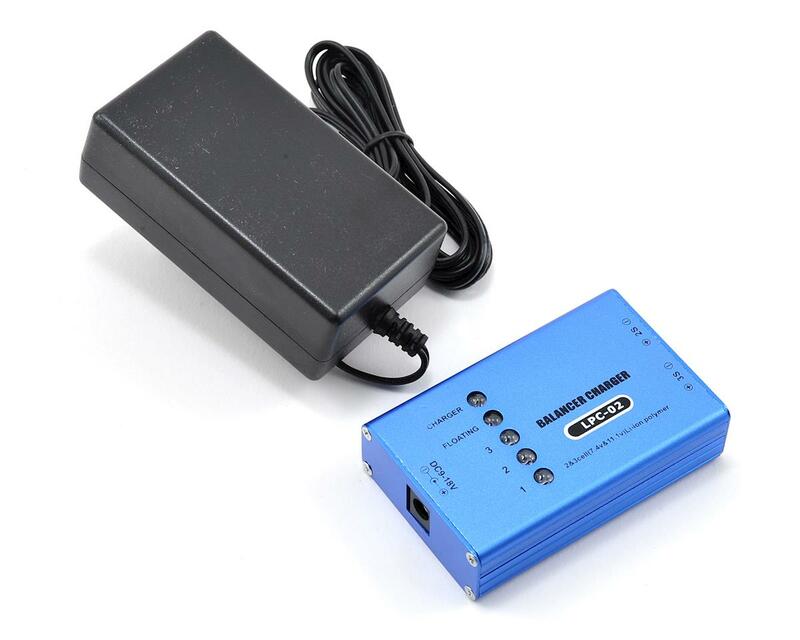 The picture shown on this site for the charger appears to be a small metal box, the one that came with mine was a translucent blue plastic box instead. Charges via the balance cable on the batteries. The wheels/tires come pre-glued out of the box, but required balancing to get them to run without major wobble on the buggy. On 2nd run hit a jump wrong and landed on the lid, bent the front shock tower. Both stock shock towers are thin aluminum with a black plastic cover on one side. Will be upgrading to the thicker machined versions sold at Amain. Flames on the body are not decals but screen printed on. Overall would recommend this buggy. Big, fast, and includes everything needed to get it running (even 2x 11.1v Lipos in the box). Only downside is wheel hubs are not compatible with HPI Baja wheels, but can buy adapters if needed. Great rc, upgrade the bearings and enjoy. Huge fast, lots of aftermarket support. Parts at most online retailers. Never breaks compared to revos or hpi savages.